A little bit of a more general/personal post today! But, as with the voting post I did here, it's ultimately all about helping the community and improving lives and well-being. 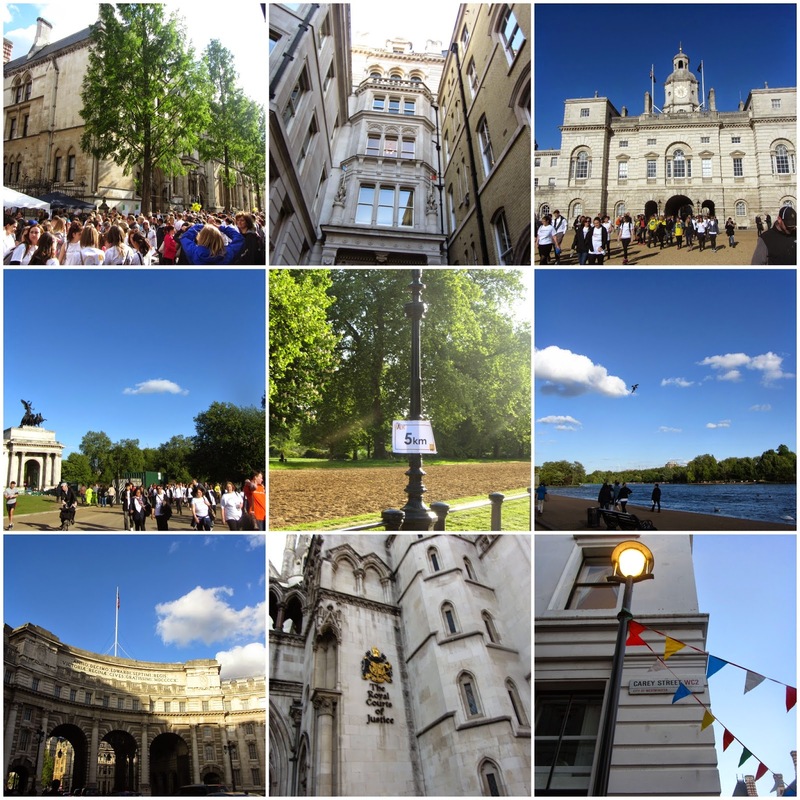 On Monday 18th May 2015, I, along with over 9000 other people, took part in the London Legal Walk. So far, with just this walk, over £600,000 has been raised! Personally, it was an incredible experience. The weather turned out beautiful, after a very dull and wet morning! I had been a little concerned about making it round the whole 10km course, but I'm thrilled to say I managed it in just over two hours. This is a bit of a milestone for me, as two years ago I was struggling to walk 10 metres, let alone 10 kilometres! So, overall, it was not only a brilliant opportunity to raise money for an awesome cause and meet some inspirational people, but also a personal triumph. 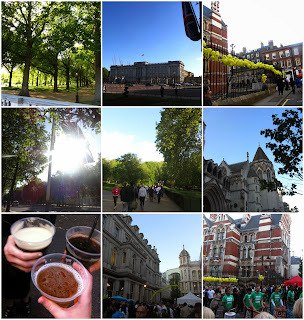 As you can see from the photos, we saw lots of different parts of London. It was a great opportunity to explore London, even though I've been here a while now it's still so much fun to play at being a tourist! We started and finished the walk behind the Royal Courts of Justice, just round the corner from the Law Society, in the heart of the legal district of Chancery Lane...an apt setting and one which I find both inspirational and aspirational. There was a street-party afterwards and we danced to Samba music, drank beer while the stilt-walkers weaved in between the crowds and dressed up for silly photos in the (rather cool) photo booth. I highly recommend the event to anyone who is interested in law, justice, equality or social care. It's superbly run and organised. It's also a fantastic opportunity to network whilst getting some good exercise and raising money for a deserving cause. You'll definitely see me there next year!